I have been advised by someone close to me NOT to post this article and another friend has just pointed out that while I need to act as salt I must remember grace too! However, despite my post India trip resolution to try to maintain my own counsel and refrain from criticizing others, I have been so riled and stirred by the sanctimonious pontifications of opinionated fools, including some high profile Christians, that if POTUS were to come to the UK (now an imminent certainty) they have decided to make it their business to let him know he is NOT welcome. As far as I can make out, no US president in my lifetime has been subject to such in-hospitality, yet mindful all presidents have character etc. flaws, I reckon Trump is (imho) the best of them. As for me, I would like him to know he is welcome and while there is stuff he says and does I disagree with and argue against, on balance I agree with the writer of this “Protesters are wasting their time: Why I can’t wait for Trump’s UK visit” article and as for me I would like to thank President Trump for being a modern day King Cyrus, for waking us up concerning the globalist takeover, for giving God the glory and to assure him of my prayers (and I won’t fawn but rather take him to task when he is wrong). Already his presence on this European trip is being felt. While I don’t necessarily advocate European countries increasing military spending, I do believe they need to pay their fair share to the NATO budget, and he was quite right to point out to Mrs Merkel his objection that America is paying to protect Germany from Russia and yet Germany buys much of its natural gas from Russia. I like to think he will meet with Mr Putin before he gets to meet Mrs May, whose days appear to be numbered as UK Prime Minister, but significant even so as Britain needs to prepare for life after Brexit. 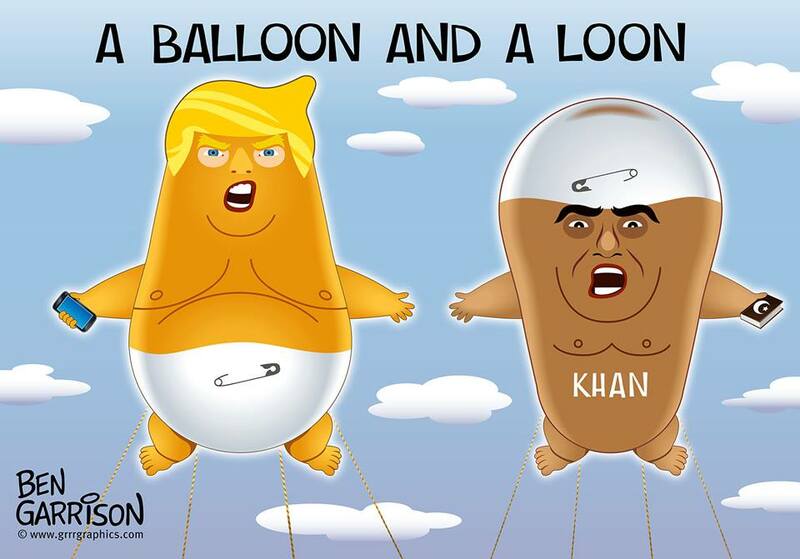 As for the balloons, as a supporter of free speech I say by all means have the Trump mocking one as long as we can have a Khan (who approved the Trump balloon in the first place) balloon too, for while Khan has made little effort to hide the fact that he despises Trump, there are those of us who despise Khan in a similar vein, whose political correctness and appeasement of Muslims etc. 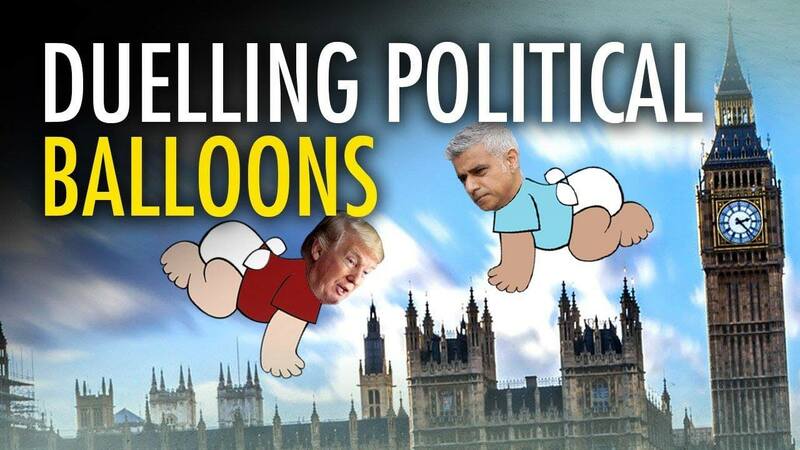 is a factor in London’s escalating crime wave. Why I am so belligerent in making this post is I want to put on record my indignation that here in the UK we are facing a political, moral and spiritual crisis and it is rather pathetic and pernicious that people who should know better decide to focus their attentions on making Trump feel unwelcome when he visits the UK rather than addressing these matters. As for me, I will be joining what could be a significant number of the in the main silent (maybe majority even) onlookers when it comes to saying “Welcome to England Mr. President”. Amen! Thank you for not heeding poor advice, Mr. Barber. lol Linda – if you know me you might think it was good advice – but sometimes it is difficult NOT to speak out when one sees what is going on around you.